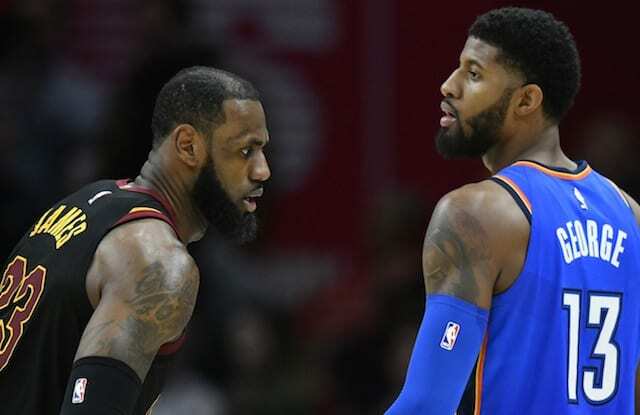 Lakers Free Agent News: Matt Barnes Hopes Paul George Or DeMarcus Cousins Join LeBron James In Signing With L.A. The 2000s were a rollercoaster ride for the Los Angeles Lakers. It all began with the three-peat, as Kobe Bryant and Shaquille O’Neal dominated the NBA. However, years of despair followed the O’Neal trade, as the Lakers attempted to rebound from mediocrity. It wouldn’t be until the acquisition of Pau Gasol that the team would once again be taken as serious title contenders, as the Spaniard provided All-Star talent and an unbelievable basketball IQ to complement Bryant. Following the 2008 NBA Finals loss to the Boston Celtics, the Lakers were determined to conquer every team in their path. On March 15, 2009, Gasol and the emerging Trevor Ariza provided the necessary lift to victory. The Lakers got out on the right foot, taking a 37-28 lead after the first quarter. Starters Bryant, Gasol, Ariza, Derek Fisher, and Lamar Odom were in the midst of establishing a chemistry that defined their championship team. However, Nowitzki, Jason Kidd, J.J. Barea, Antoine Wright, and Erick Dampier received some support to get back into the game. They mounted multiple runs thanks to their bench play, particularly because of the hot shooting from Jason Terry. He finished with 29 points, answering the call of a prototypical sixth man. Mavericks head coach Rick Carlisle also relied on production from James Singleton, who had 16 points off. The surprising depth sparked a second half run, as the Mavericks outscored the Lakers by five in the third, trailing by seven points going into the final quarter. That momentum shift carried over, with the Mavericks taking a 95-92 lead halfway through the fourth quarter. The Lakers shook off an ice-cold stretch to go on a run that was headed by Ariza. After single-handedly giving the Lakers a 98-95 lead, Ariza deferred back to his stars, as Bryant knocked down a 3-pointer that extended the lead to six points. 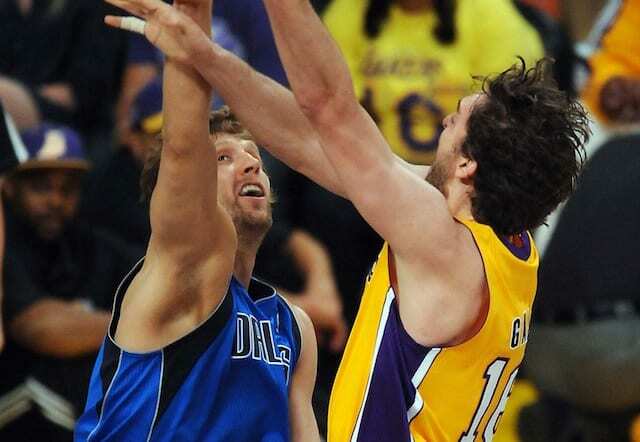 Gasol then helped stamp the Lakers victory, scoring a bucket at the rim on an assist from Odom. From there, the Lakers iced the game with free throws, escaping with a 107-100 victory. Gasol finished the contest with 25 points, eight rebounds, two assists and three blocks, while shooting an outstanding 12-for-13 from the field. He and Odom also helped limit Nowitzki on the court, holding him to just 6-for-20 shooting. Ariza scored a season-high 26 points on 9-for-13 shooting, to go along with three rebounds, two assists and three steals.